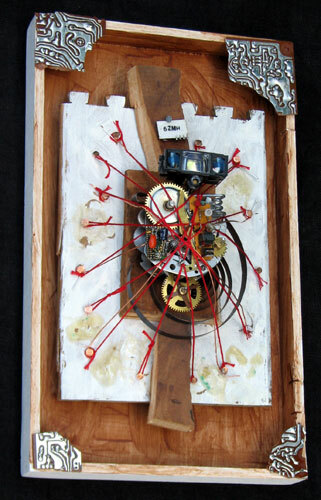 “Robot Prometheus Icon” assemblage sculpture. found objects, wood, copper wire, thread, tacks, adhesive, acrylic paint. 7.5 in x 12 in x 4 in.